In this episode we continue our in-depth look at the Resurrection. Although I say “in-depth”, the reality is that we are really only presenting a very small portion of the whole topic. After all, as I say to you all the time, it is impossible for a finite mind to fully grasp the infinite. We certainly do our best. We constantly push the boundaries of our human intellectual abilities but, nonetheless, we will ultimately have to bypass “knowing” and simply embrace “believing”. That notwithstanding, in this second part of the series we pick up where we left off last time. Here we are focusing on the importance of the witnesses. Have you ever wondered why Jesus didn’t just head on to heaven once He rose? A fairly sizable portion of the story of the Gospel is dedicated to telling us what Jesus did AFTER He died. It actually extends PAST the Gospels and into the Acts of the Apostles. Interestingly, there’s not a lot of details given on those appearances. There is a line or two on what He said but, by and large, it seems almost random…almost…anticlimactic. Before this there was that emotional scene in the Garden of Gethsemane, followed by the dramatic arrest, trial and sentencing. Then there was the horror of those dying moments on the cross. On the face of it, the appearances seem like merely a postscript of some sort. Now, I get why we’re told about the appearance to Mary Magdalene. It was a tender moment between a dedicated servant and her Risen Lord. I understand the appearances to Peter. The man was not only going to be important to the future church but He was also a dear friend of Jesus who was, no doubt, suffering from the shame of the night of the arrest. Our Merciful Lord wasn’t going to pass up the opportunity to comfort a nearly broken man. That’s just the kind of Person we serve. 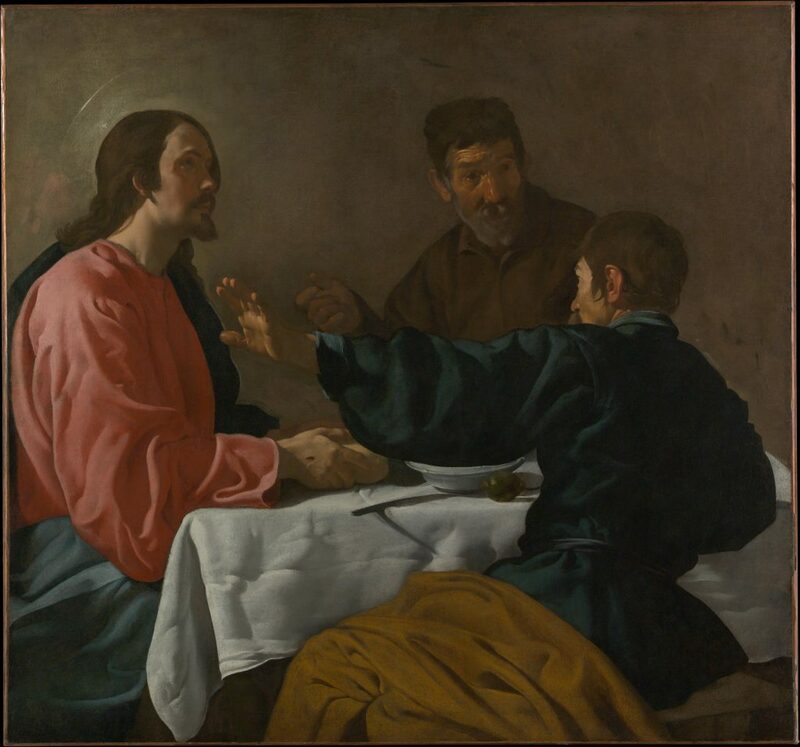 Those appearances make sense because they just demonstrate the personality of Jesus so well; but why those two on the road to Emmaus? We don’t even know who they were. Luke says one of them was named Cleopas but that’s all we know. (Luke 24:18). Mark doesn’t even give us that many details in his re-telling of the story (Mark 16:12). How about Paul’s reference to the appearance Jesus made “to 500 brethren at once”? (1st Corinthians 15:6) There we get no information; no names, no locations. The same can be said about the so-called Ascension. We are told by Luke in chapter 1 verse 6 of the Acts of the Apostles that “they” were come together but we can’t be certain who the “they” consisted of. We can be fairly confident that the remaining eleven apostles were there but was that all? The point is we aren’t told and, as you regulars know, when we aren’t told something in the Bible, it isn’t important. It can be plainly seen that in most of the post-Resurrection appearances that are recorded in Scripture, the “who” was not as important as the “why”. Jesus’ appearances have a purpose. That is what we discuss in this episode. So, take a moment to pray for understanding and then have a listen to part 2 of our Resurrection series. My prayer is that the Holy Spirit gives you an appreciation of the incredible love and mercy that God showed when He allowed us to get that ever-so-brief look at His most Precious Son.